Defender 110v LED floor light. Low energy lighting that delivers bright, broad spread light. Made with 64 LEDs which provide a consistent high light output while running cool, reducing the risk of burns or fires. Features include a tough polycarbonate lens and ABS body, high intensity reflector, rubber anti-shock base, easy-grip handle. Solid state LED technology, IP44 rated. 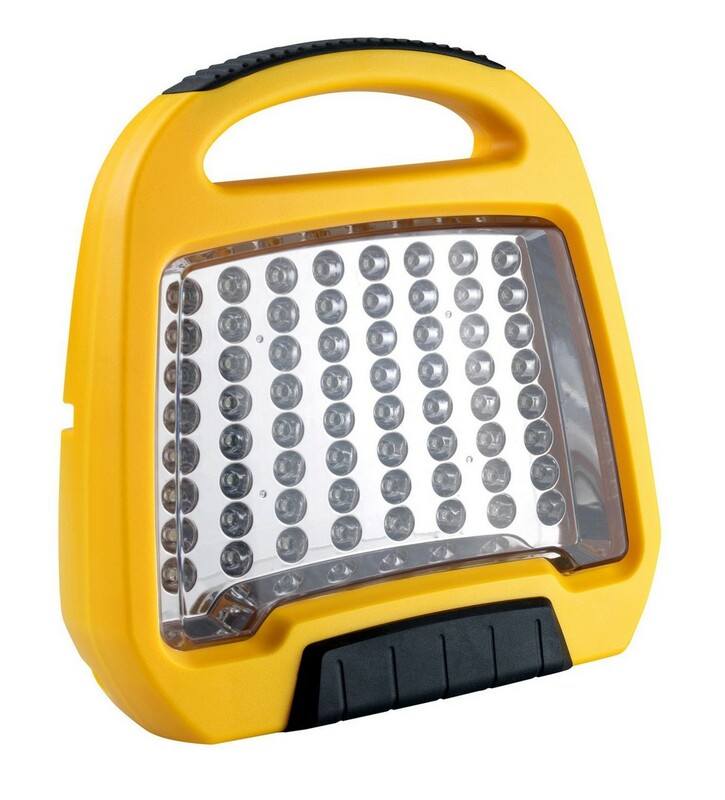 Ideal for site, industrial and domestic/DIY tasks.